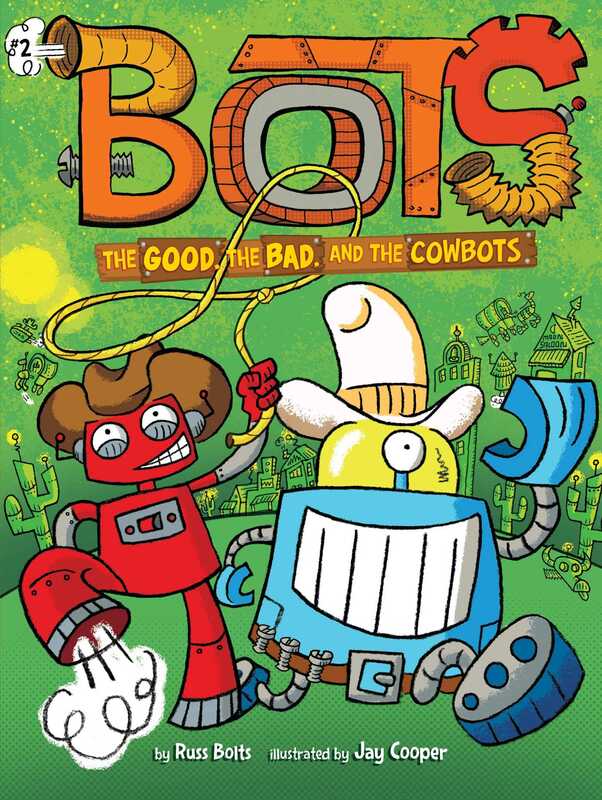 Joe and Rob visit the robotic wild west in this second adventure in the hilarious Bots chapter book series. Many years ago, scientists on Earth sent video satellites out to the end of the universe to see what was hiding in deep space. Now, years later, these satellites have begun sending their first videos back to Earth. Welcome to the Wild West the way it was intended to be: with robots as the cowboys! In this second adventure, join Joe and Rob as they mosey along on horsebots, herd robocows, and stop the badbots from stealing gold from the stage coach.